Who you gonna call when your pet’s gone bonkers? Or when they’re in pain, sick or feeling bad? Maybe they are getting ready to make their transition and you need help coping so you can ease their suffering and pain? You could (and should) call your vet of course. However, calling an expert pet communicator for help is the next BEST step. Why? 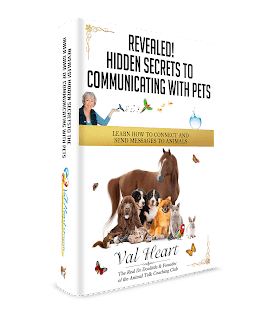 Because an expert pet communicator can reveal hidden factors contributing to the problems at hand that you and your vet (or trainer) may not know. A good pet communicator will talk to your pet to find out what they are thinking, where the problem(s) are coming from, from their perspective, insight and experience. And, a really good pet communicator can translate and negotiate what’s missing in their training, caretaking and world. Without communicating with your pet, you can only hope that what you’re doing will make a difference. If you want clarity, peace and true understanding so you can work together to solve the problems you’re facing, then Click Here and let’s get started communicating with your pet!